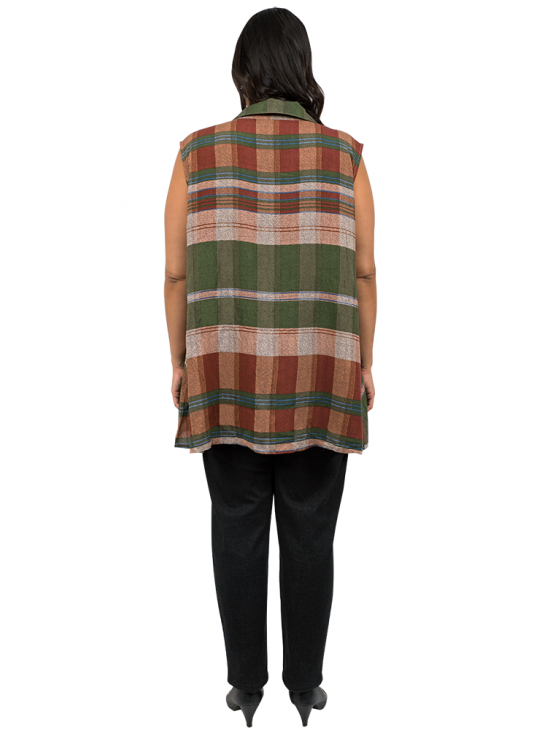 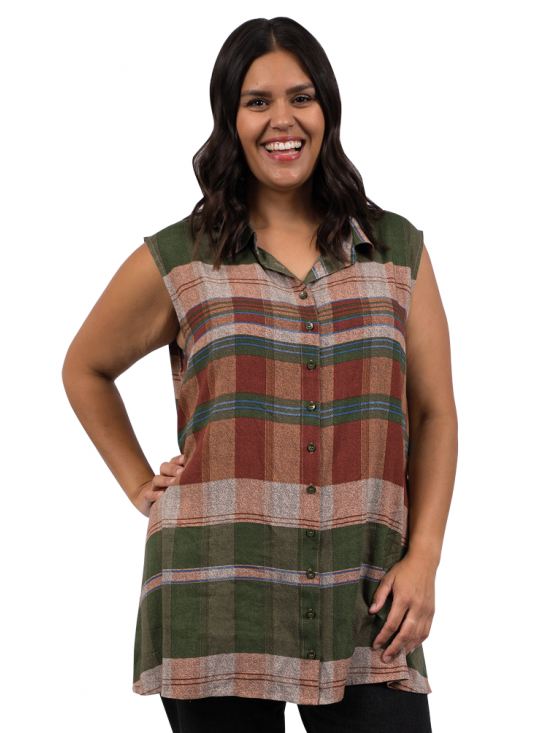 Beautifully soft and easy to wear, this tartan style sleeveless tunic is a great casual look for everyday. 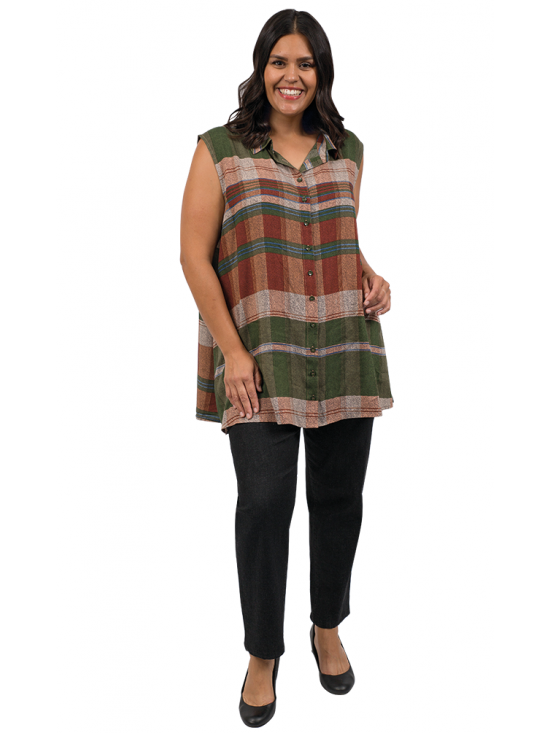 Very lightweight and breathable with shirt collar and full button front, it has an A-line shape to give swing through the hem. 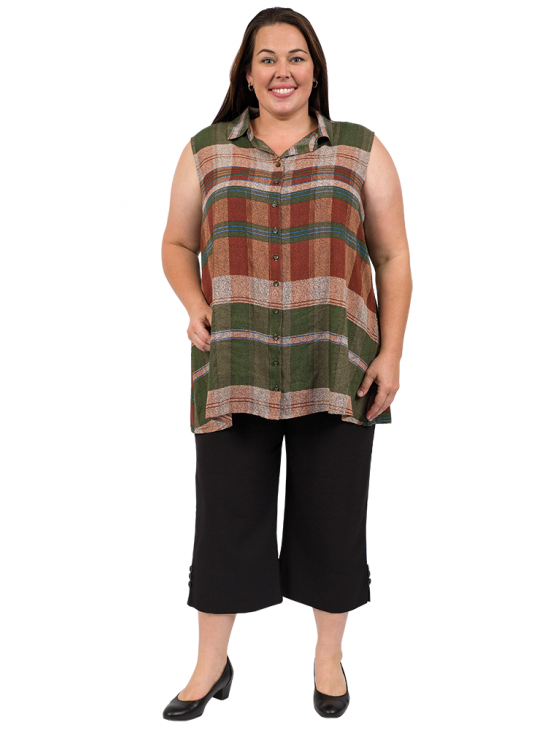 Team it with Shadowboxer Pants or Freya Capris for a comfortable, stylish look you can wear everyday.